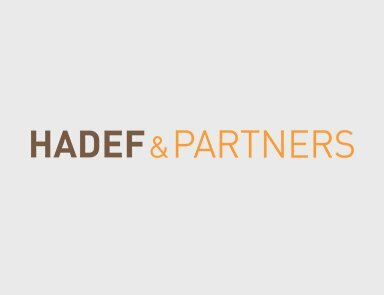 Hadef & Partners explains the impact which UAE Cabinet Resolution No 3 of 2011, Concerning the Commercial Agency Committee, has on the process of handling commercial agency disputes. The newly formed Committee will be responsible for receiving applications for settling agency disputes and responsible for the process of cancelling registered agencies. Pursuant to the Resolution, the Committee is permitted to abstain from settling a dispute referred to it and can advise the parties to refer the matter to litigation. A party may challenge the determination of the Committee by bringing a matter to the UAE courts within thirty (30) days of the date of receiving notice of the Committee’s resolution. UAE Cabinet Resolution No 3 of 2011, Concerning the Commercial Agency Committee, was issued in March 2011 (the Resolution) to supplement the amendments to the Agency Law (Federal Law No 2 of 2010 as amended) issued last year. For further information about the 2010 amendments, read Hadef & Partners’ New amendments to UAE Commercial Agency Law article published in June 2010. The Resolution covers the formation of the Commercial Agency Committee (the Committee), meetings of the Committee, submission of applications for settling disputes and the process for cancelling registered agencies. At the time of publishing this article, the individual members of the Committee have been appointed according to their portfolio and await to be named. Once the appointed are named, the Chairman shall convene meetings of the Committee “whenever the necessity arises”. The Resolution sets out the process for submitting agency dispute applications and sets a fee of AED6,000 before an application shall be recorded. Once recorded, the Committee shall schedule a date for examining the dispute within sixty (60) days. The Committee is permitted to seek the assistance of any expert or “appropriate person” for performing its duties. It also has the right to demand the submission of further information and documentation involved in the dispute. Pursuant to the Resolution, the Committee is permitted to abstain from settling a dispute referred to it and can advise the parties to refer the matter to litigation. If the Committee issues a resolution settling a dispute, the Committee’s resolution shall include a summary of the subject matter and the grounds upon which the Committee based their decision. A party may challenge the determination of the Committee by bringing a matter to the UAE courts within thirty (30) days of the date of receiving notice of the Committee’s resolution. If the agent challenges the decision of the Committee (relating to cancelling the commercial agency) the agent should within one week from expiry of the (30) day challenging period, submit to the Ministry, evidence that he has challenged the Committee’s resolution. In such a case, the UAE Ministry of Economy is not permitted to register a new agency in favour of a third party except after the UAE courts have passed a judgment concerning the dispute. As such (although not expressly provided), the Ministry, upon issue of Committee’s decision to de-register the agency, should also halt any further agent’s approach to further renewal of the agency subject to court judgment. At the present time, given the Committee members have not yet been named, any disputes relating to registered commercial agencies are currently being held at the UAE Ministry of Economy. Once the members of the Committee are named pursuant to the Resolution, the Committee should start hearing such disputes and it will be useful to see what factors the Committee will take into account in deregistering a registered commercial agency agreement. If you require any advice in relation to the impact of the UAE Agency Law on your current or proposed distribution, agency and/or franchising matters, please contact us.